What a lovely giveaway. It seems I've turned in to a total Grainline fan girl! 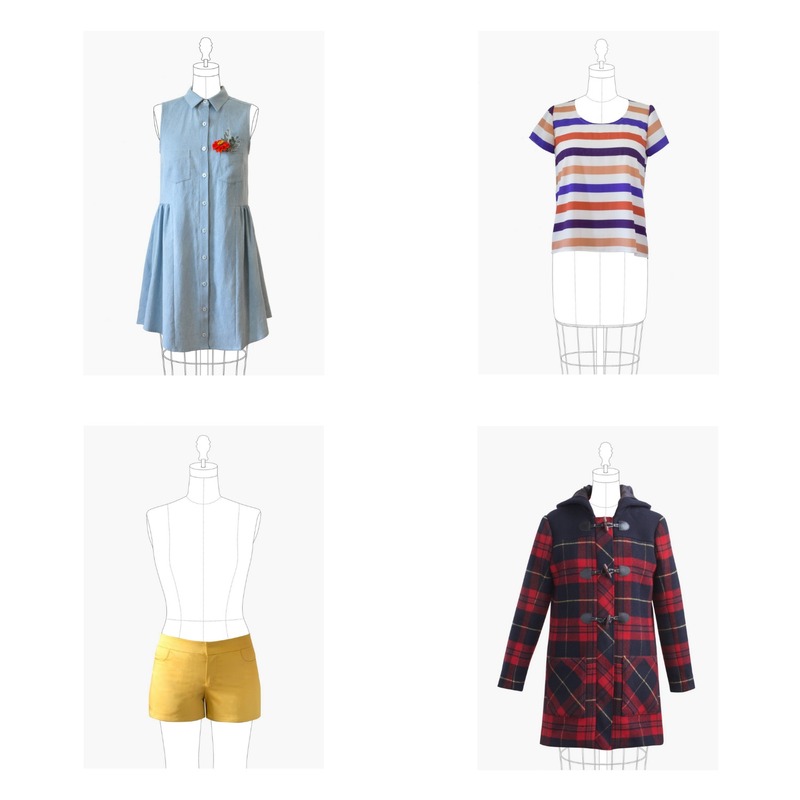 I should be wanting basics patterns like the Linden Sweatshirt, the Scout and Lark tees to fill the gaps in my collection. What I actually want though is the Morris blazer and the Alder shirt dress! I've following on IG and FB. Thank you for both for the giveaway. Archer Button Up,Morris Blazer, Cambie Dress and Oakridge Blouse on top of my list. and I'm following Sew Essential on Instagram. Well, I've been eyeing up the Davie dress pattern. Following Sew Essential on IG too. What a great giveaway. I really want to try something from the Simplicity Amazing fit line. And the Francoise dress. And the Clover pants.. There are a lot patterns in my wish list: burda 6877, McCall's 6696 and from the Indi I would really like to try the Tilly and the buttons patterns (Arielle and Bettine) and Wren by Colette.. Lots of wishes ;) I following with all the media except google+. Thank for such wonderful opportunity. Thanks for running this great giveaway! I've had my eye on the Colette Aster for a while now. Also fancy giving a coat a try, perhaps the Colette Albion or Grainline Cascade Duffle. I really like the Sewaholic Hollyburn skirt pattern. I've never tried an indie pattern before and this would be an awesome place to start! I love the archer shirt, the coco dress and the alder dress! such a great giveaway and now so tempting looking at this site. but i think there are mainly two or three or more pattenrs i love the grainline moss skirt and linden sweatshirt but also the colette mabel. Great giveaway! I've had Tilly's Coco and Sewaholic's Gabriola on my wish list for a long time. I have a few McCall patterns on my list, too. Fab giveaway! 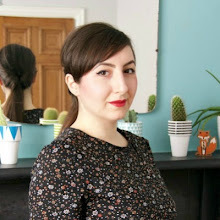 I love indie sewing patterns, so I'd like to try the Colette Moneta dress, and I've been dying to give the Sewaholic Crescent skirt a go for ages! My email is sianhannahthomas@gmail.com. Thank you! I've read so much about the Linden sweatshirt and the Lark from grainline, I would love to try them. Fab giveaway! 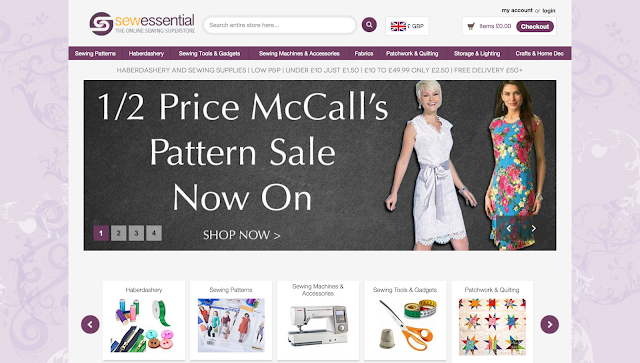 Following sew essential in Instagram and Facebook. I want to try pretty much all of the Grainline patterns - particularly Moss, Linden and Alder shirtdress. Though I am pretty keen on trying the Morris blazer and maritime shorts too. Keeping my fingers firmly crossed. What a great giveaway! I've been eyeing the Wren dress pattern for a while now. Also, the Arielle skirt, and the Maritime shorts... It's very hard to choose. Thanks for the chance! I've had my eye on the Colette Crepe dress for a while, but £12.50 is too expensive for me! I've been thinking Coco thoughts for some time, also like the look of Wren, Alder and ... Ooh... So many to choose from! I have Sewaholic Renfrew at the Top of my list! I've never sewn any Tilly & The Buttons patterns and I've been wanting to make the Fifi pattern ever since it came out. Scout, Linden, Lark and Archer have been on my list for some time so it would be nice to have one or two. I love the hawthorn dress pattern from Collette, been admiring it for ages, love a shirt dress. Lovely giveaway😊 I'm quite surprised by the size range they offer so will be sure to check them out thoroughly. In terms of patterns, I see several lingerie and sleepwear that tempt me (like Butterick Pattern 6031 or Burda 7186) 😊 I also have my eye on some of their vintage patterns like the Misses Vintage Blouse, Skirt and Bra Top Simplicity Pattern No. 1166 - too cute! Gah! I've been mooning over the Tilly and the Buttons Arielle skirt and Colette's Phoebe for a month now! It would definitely be the Albion duffle coat and Morris blazer for me. I need a new coat (or two) in my wardbrobe. Loads to choose from, but I've had my eye on the Colette Phoebe and Dahlia since they were released. Great giveaway, thank you. It's tough choosing between so many goodies, but I'd have to go with the Alder shirt dress and maybe the Alder shirt, or Phoebe dress. Thanks for the chance to win! The Colette Crepe and Tilly's Francoise! I've been eyeing Simplicity 8053 and some of Simplicity's Cynthia Rowley patterns, mainly, but also Colette's Laurel. I've been wanting a good shift dress pattern and Laurel seems like a good choice - plain and with loads of room for variation. Ooh, top of my list are the Archer shirt and Linden sweatshirt by grain line. My email is lemieugre@hotmaicom and I am following on Facebook, Twitter and Instagram. i like simplicity 1124. Some many ways to wrap that dress. I've had my eye on Archer and Alder, but I also have a list of Big4 that I could make a dent in. It would be a fabulous quandary to have! I love the Butterick Pattern 5708 but I'm struggling to see how it would fit in my every day wardrobe. McCalls Pattern 6884 is probably much more practical. I've followed S.E. on Instagram and Twitter. Ooh...Tilly's Francoise speaks to me. I'm also eyeing up the Pacific Leggings...oh, so many choices. I'm now following Sew Essential on Twitter. I have to be really boring in this one. I own some lovely Colette and Sewaholic patterns that haven't made it to the top of my list yet. Grainline and most of Tilly's are too small for me. I really want a couple of basics from McCalls, their pencil skirt and a-line skirt in 5 lengths are the top of my list. Woah! Do you ever get overwhelmed by the sheer choice?! 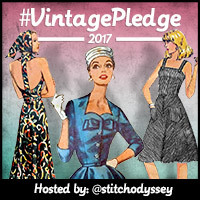 I'd go for Gertie's Butterick 6285 (circle skirt and wrap top) and 5895 (capri's and tie waist shirt) or maybe Grainline's Scout or Linden. I need separates!! I've followed Sew Essential of FB, Twitter and IG. What a great giveaway! I think the Colette Myrtle and the Sewaholic Fraser would top my list. 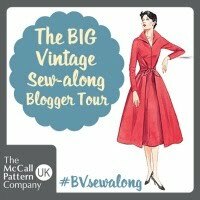 Hmmm... Tilly and the Buttons Bettine, Grainline Moss, Sewaholic Renfrew! Happy February! I have shirts on the brain so grainline's archer or butterick 5526 are high on the list. I follow on Instagram too! I would pick the Scout T and Archer shirt by Grainline studios. I'm a Grainline fan through and through - I just love the basic styling, ultimately all such wearable patterns. Yay!!!! would love Colette Wren please!!! I would choose Tilly and the buttons fify. Love a good pj pattern. Following on face book. Clared2001uk@yahoo.co.uk. 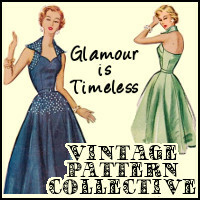 I'm thinking of my vintage pledge and looking at a few of the reproduction patterns, especially V8811, V8789 and B5209! I follow Sew Essential on Instagram and Facebook. I love some of the sewaholic patterns - perhaps Gabrielle, as I've never quite been able to justify buying it but I love all the versions I've seen! Amazing giveaway!!!! I adore Tilly & the buttons patterns. I'm new to sewing and the instructions are so clear!!! I would love the francoise pattern. I've been meaning to try a Sewaholic pattern so I would love to try the Renfrew top. Ooh what a prize! I might be tempted by the discount McCalls but more likely to go for a Tilly Agnes and a Colette Aster. My new-to-sewing daughter would also enjoy these, and maybe Fifi too! I would be tempted by the discounted McCalls but think I would love Tillys Agnes or Colette's Aster. My daughter is new to sewing and could share these, and possibly Fifi too! I love the dahlia by colette, aster is pretty nice too. As a dad that likes to make his kids clothers, the McCalls Girls patterns look handy! Hallo, Marie! Long time no see, I know. Well, I' m here again! My all time favorites are always Colette patterns, but I would love to give it a try with the Arielle skirt! I also followed Sew Essentials on Insta and FB! It's really hard to decide, but I think I mostly need some staples like the Hawthorne and some Mabel skirts in my closet. I follow you and sew essential via Twitter. I wish you a really great birthday! Goodmorning from cloudy Greece. I love knitting and crocheting and I am new follower of....sewing! I thing i will never sleep again! I loved "Grainline studio". Thanks for the great giveaway. Follow on facebook and instagram. maria.atraidou@gmail.com. So many choices!! I would love to get my hands on McCall's 6965, Sewaholic Hollyburn and Colette Rooibos. I'd love to try Sewaholic's Hollyburn and Tilly's Coco and Fifi! Such a lovely giveaway!! I am a huge fan of Tilly, but already own Coco, Arielle, Mathilde and Bettine, so would love to try some of the others! Sewaholic's Hollyburn looks great, as do the Grainline shorts! My email is amyjuneburrows@gmail.com! I have the Morris blazer at the top of my wishlist right now. I would also like to try Colettes Hawthorn dress and I have never sewn anything from Sewaholic so I would like to try The Hollyburn skirt. I follow sew essential on IG. My tops (plural because I can't pick just one) are Grainline 5001, because I'm in need of some great fitting shorts; Butterick 6305, because I love historical dresses; and Colette, 1001 because that dress is adorable. Following them on IG and Google+! I couldn't pick just one so top of my wishlist are Sewaholic Crescent Skirt and Grainline Archer. I'm following on Instagram and Facebook. 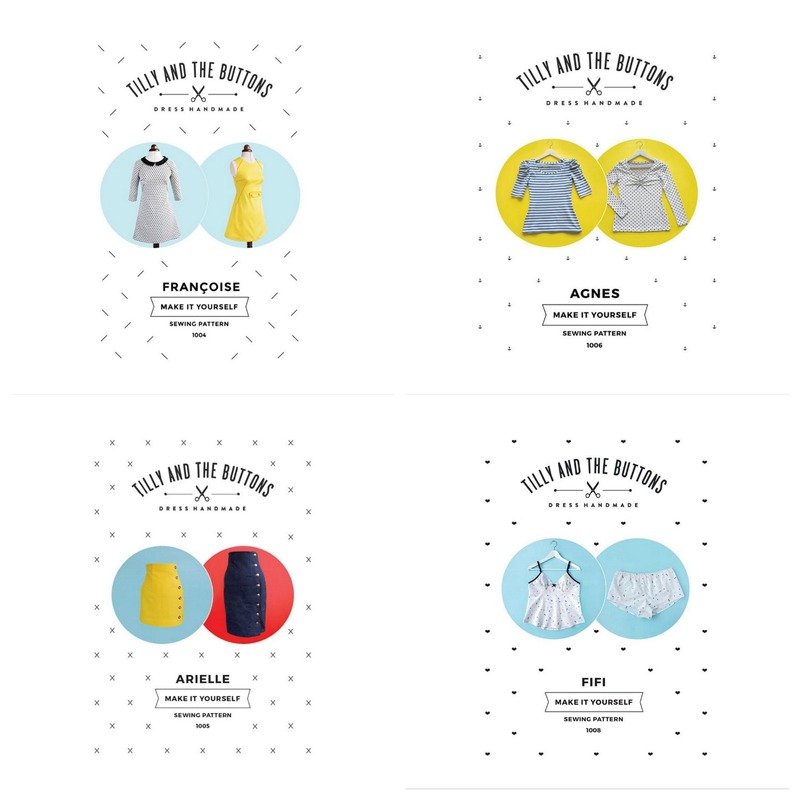 Bettine by Tilly and the Buttons is on my 'want' list! I'm really tempted by the Fifi set and Orla top by Tilly, and the Hollyburn skirt by Sewaholic! My name links to my profile. 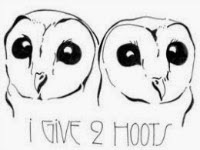 I discovered indie patterns last year and am head over heels for them! I already have quite a few Colette, Sewaholic, and Tilly and the Buttons patterns, but I would like to add the Agnes and Orla tops (Tilly and the Buttons) and Moneta and Macaron dresses (Colette) to my pattern collection. The People 917 (B 42) A lovely 50s dress and I'd make it in a lightish green! I have a vintage dress very similar which used to fit me 20 years ago when I was an art student and it's time I replaced it!